Sten on his way to the 500 World Champions in 1961 on his 500cc Lito four-stroke. 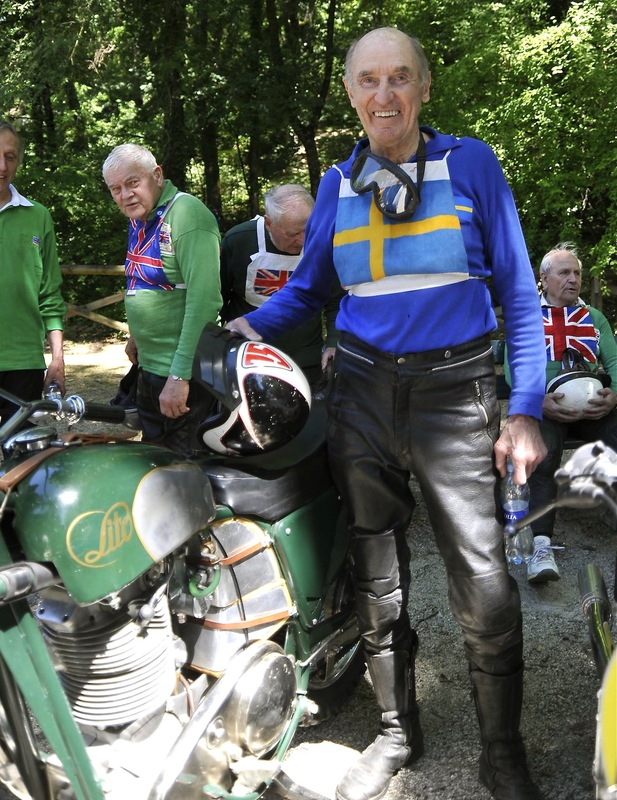 Swedish motocross racer Sten Lundin won the 500cc World Motocross Championship in 1959. Sten was second in the 1960 500 World Championship, only 2 points behind the late Bill Nilsson. In 1961 Sten recaptured the 500 World Crown . He was third in the 1962 World Championships, second to Rolf Tibblin in the 1963 and third in the 1964. Sten and archrival and friend Bill Nilsson. Both are gone now. 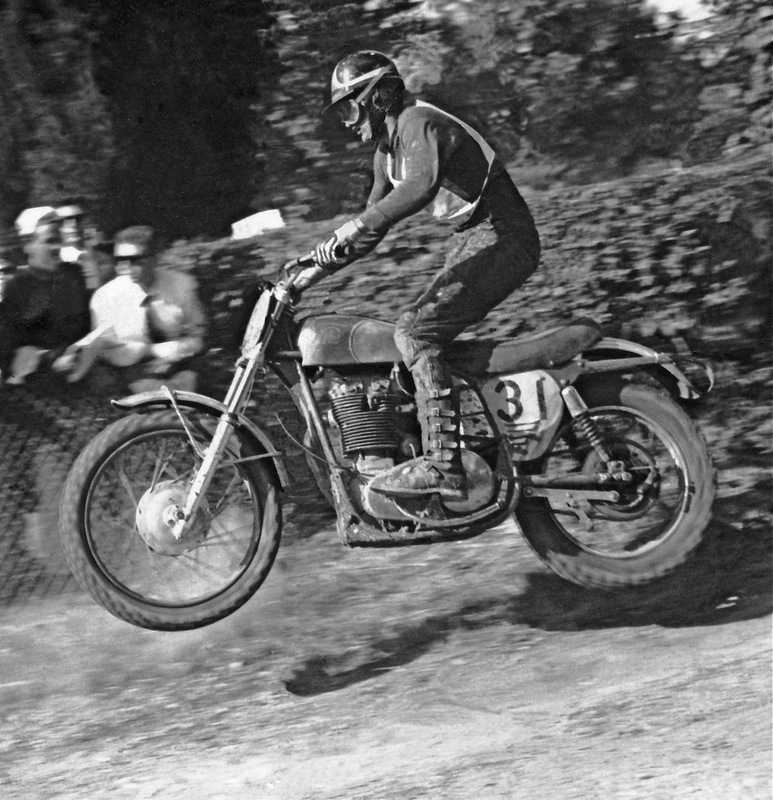 Sten Lundin also led the Swedish team to victory in the 1955 Motocross des Nations with Lasse Gustafsson and Bill Nilsson. Sten Lundin had 19 Grand Prix victories to his credit and from 1957 to 1963 he won two World Championships (1959 and 1961) and was never lower than third in the points standings over that 6 year span. 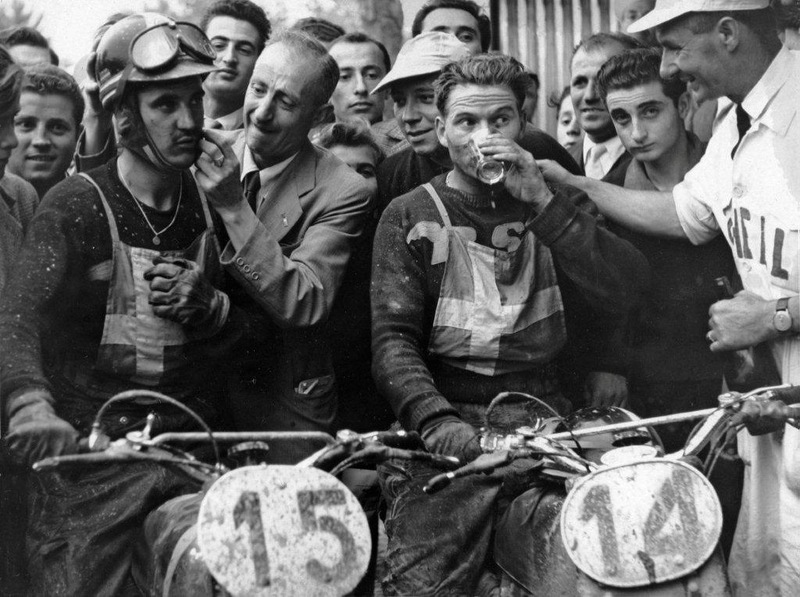 Sten Lundin at a Grand Prix reunion in Italy next to his Lito. Sten Lundin was 84 years old and for 60 years he was married to Britt Lundin. Our best wishes go out ot the Lundin family, wife Britt, son Kenneth and two grandchildren. Sten was born on November 20, 1931 and passed in his sleep on June 3, 2016, after a brief illness.